The following events are sponsored by the London Spiritualist Church. These discussions will be held from October through June This gathering will be held the first Wednesday of each month. Description: Welcome to a new and exciting Mediumship Expansion series we are introducing at the LSC. Tonight we will be expanding on Mediumship techniques for the mid-range and advanced Medium. Come and join us to enhance and strengthen your relationship with the Spirit World. A variety of approaches will be used each month to strengthen your God given gift. This workshop is not intended for the beginner. Description: This Saturday's healing course will focus on Auric fields and linking them with chakras as part of the healing process. The course will consist of both lecture/direction as well as documentation and hands on exercises to practice what has been taught. Proceeds will go towards the London Spiritualist Church. Time: 7:00 PM to 9 PM. Doors open at 6:30 PM. Your loved ones in Spirit are reaching out in love to let you know that death is merely an illusion. Tickets may be purchased at the Sanctuary doors on the evening of the event. Rev. Karen is a dedicated Spiritualist in the International arena of Mediums. She travels abroad regularly facilitating workshops and development circles. Course Info: Learn to link with Spirit through photos. Find and connect with that specific person in the world of Spirit at today's workshop. You will give evidential readings, both of a Mediumistic and Psychic nature. Description: A presentation handout and a brief history of tea will be given out. Along with this will be an understanding of how tea has helped shape the world and how valuable it has been at times: "The Leaf That Changed the World." 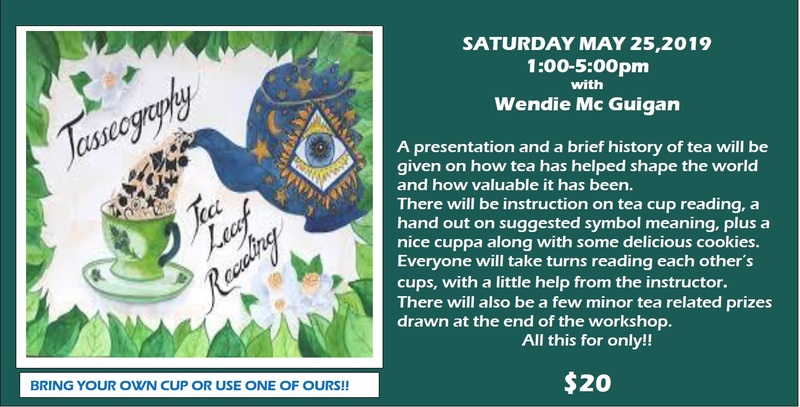 There will be instruction on teacup reading, a hand out on suggested symbol meanings, plus a nice cuppa along with some delicious cookies. Everyone will take turns reading each other’s cups, but there will also be help from the instructor. There will be a few minor tea related prizes drawn at the end of the workshop. It's will be great fun and everyone will learn to read the leaves. Tea cups, leaves and tea pots will be provided, but you can bring your own favorite one if you wish. Welcome to our annual Psychic Tea. There will be lots of excitement here today. We have wonderful Mediums, Card Readers, Tea Leaf Readers and vendors with a wide array of products for your shopping pleasure. There is something for everyone so come on out and we are sure you will have a wonderful day. Stay for lunch as our kitchen will be open for the purchase of a variety of food items. The following events are not directly affiliated with the London Spiritualist Church, but may be of interest to our members. 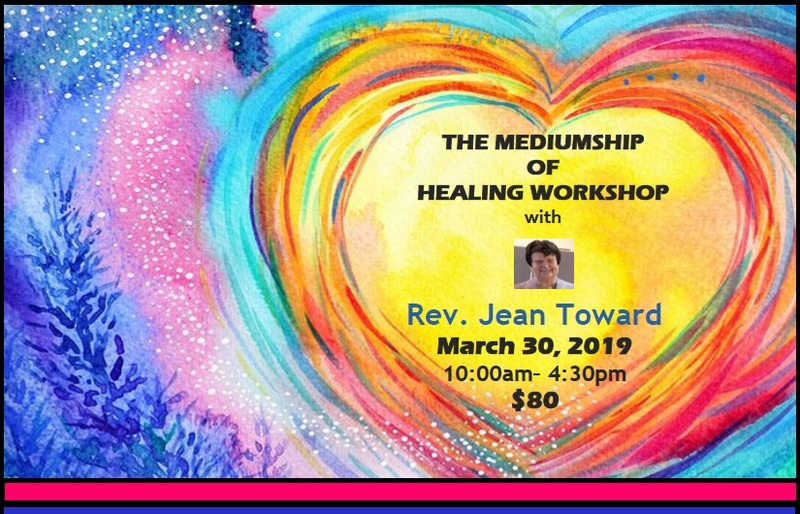 Click here for workshops and activities being offered by the Spiritualist Church of Canada and its affiliated churches. Dates, Times and Pricing: Various. Please visit the SCC for more event information. Trinity upholds the value of the "Golden Rule" Church and hosts many activities of interest to their and our own congregations. For further information and confirmation of the many events please check with Trinity's website. Click here for details. The Galt Spiritualist Church offers a variety of workshops and events throughout the year. Dates and Pricing: Please see The First Spiritualist Church of Galt for more information on development workshops they are offering. The SSB offers a variety of workshops and events throughout the year. Please see Spiritualist Society of Burlington for more information on development workshops they are offering. Connecting With Spirit and Trance Healing: A Workshop with Al Batten. Parts 1 and 2.